September 28, 2018, marks 100 years since the stupidest parade I’ve ever heard of. And this is a world awash in stupid. Donald Trump wanted to hold an insane weapons parade in Washington this November. That was dumb. But so was, on a far lesser scale, the move by various peace groups to de-prioritize going ahead with a massive celebration of having helped get the parade cancelled. I suppose the thinking is that we have got just too many victories for peace to be bothered with inspiring people to join us. Anyway, the French parade of death that inspired Trump was certainly moronic. So is the French plan to let Trump back into the country. Three cheers for the Irish, whom he won’t be visiting! But nothing matches for sheer idiocy the parade held in Philadelphia on September 28, 1918. 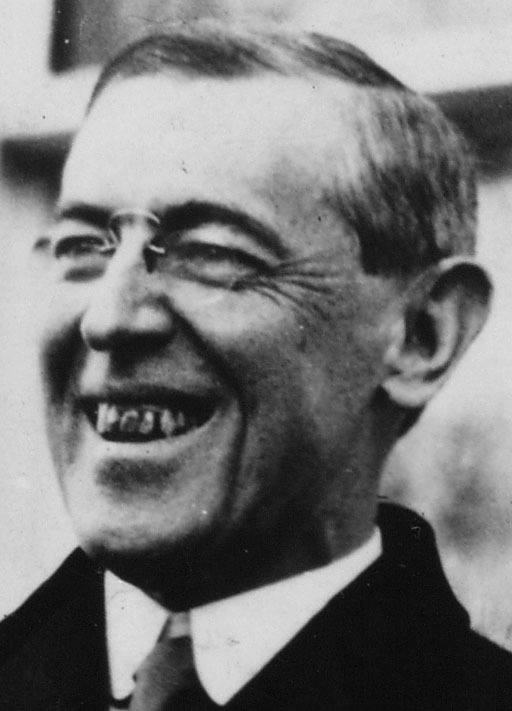 Recall that Woodrow Wilson had been reelected on the slogan “he kept us out of war,” although he’d been trying for a long time to get the U.S. into the war. He’d hoped to get the British and the French to agree to his terms for a postwar world based on his 14 points and including global institutions meant to preserve peace. Despite their refusal, Wilson went ahead and pushed the U.S. into the war using all sorts of lies about sunken U.S. ships and a brutal propaganda campaign that let virtually everyone know what to think and locked up those who didn’t agree. Recall that the Great War was the worst, most concentrated violence that white people had ever imposed on themselves, and that they were not used to it. On top of the dramatic death toll, the United States shipped soldiers and sailors with the flu off to the trenches of Europe from which the deadly disease spread around the world, killing perhaps 2 or 3 times the number of people killed directly in the war. Ignorance about the flu was encouraged by policies that forbid newspapers to report anything less than cheerful during a war. Spain didn’t have those restrictions. So news of the epidemic was first reported in Spain, and people began calling the disease the Spanish Flu. Now, the U.S. government wanted to hold a parade in Philadelphia with more weapons than even Trump might have demanded plus crowds of flu-infected veterans just returned from the trenches. Numerous health experts pointed out that this was about as smart as machine gunning and poison gassing thousands of young men in the name of ending war. But Philly’s health director Wilmer Krusen had about as much respect for the general public as a Philadelphia Eagles fan has for an opposing team. Krusen announced that the flu was fake news. He proposed that people just stop coughing, spitting, and sneezing. One purpose of the parade was to sell bonds to pay for the war, and each city wanted to sell the most, including Philadelphia. Instead, what Philadelphia grabbed the record for was spreading influenza. A massive outbreak was predicted and occurred. One man who may have come down with the flu as a result of the epidemic hugely increased by the parade was Woodrow Wilson. When Wilson travelled to Versailles to negotiate the peaceful paradise he had promised the world, he found, as expected, that the British and the French wanted no part in it. Instead they wanted to punish the Germans as viciously as possible. One reason that Wilson put up hardly any fight for what he had sworn he would fight for was almost certainly the amount of time he spent sick in bed in France. And one reason he was sick in bed may very well have been the dumbest parade in history — a parade that helped kill on the scale of the war and perhaps a much larger scale. Smart observers predicted World War II the moment they saw the nasty terms of the peace agreement that Wilson had seen roll over his sick bed. That second fit of collective lunacy would of course kill more than the first one and its flu combined. And the legacy of World War II would be the endless ongoing slaughter of millions of civilians in a normalized permawar that has ended all peace. And that has included permanent WWII propaganda rendering it impossible to question WWII and therefore much more convenient never to think about WWI.